As you approach and begin to enjoy retirement, it is essential to have a plan in place. While the majority of Americans are ill-prepared for retirement, it’s never too early, or late, to strategize for this important phase of life. By in large, retirement is an often misunderstood concept. This general lack of understanding leads to uncertainty, which then transforms into fear. The truth is, planning for retirement should start the moment you take your first job out of college. Establishing saving habits, investment strategies, and budgets early, means a more prosperous life later on. 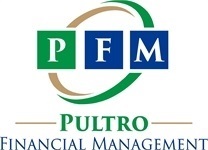 When you plan your retirement with Pultro Financial Management, we will work to enhance your understanding, alleviate your fears, help you manage the emotional side of retirement, and position you to enjoy the retirement of your dreams. Keeping up with the changing tax laws and regulations is essential when planning for retirement, or other financial matters. Our team has been working with clients since 1987, and is well qualified to guide you through the incredibly complex maze of financial issues and concerns, so that you can rest easy knowing your financial future is secure. As Behavioral Financial Advisors, our approach allows us to help people better prepare for what is ahead. We educate, listen, and design customized plans for individuals who want more out of their finances, and out of life.